Ping An Insurance, China’s second-largest insurer by premium income, has been betting big on fintech. Now, it’s setting its sights on Southeast Asia. 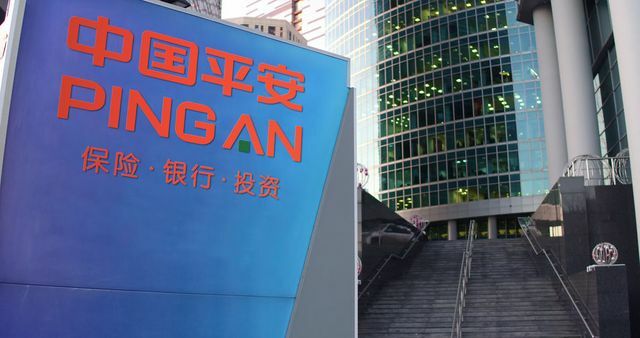 Recognizing the potential of fintech solutions for banks and small and medium-sized enterprises (SMEs) in the region, Ping An’s Singapore-based subsidiary OneConnect Financial Technology was registered in March 2018. Since then, it’s been sprinting to woo customers. OneConnect will provide a variety of software services for businesses and financial institutions that will automate loan applications, credit assessment, customer service, marketing, and more. Leading the charge in Southeast Asia is OneConnect CEO Tan Bin Ru, a veteran tech executive who served as regional sales director and held management roles at Microsoft as well as had a stint with Hewlett-Packard. In an interview with Tech in Asia, Tan says that the first batch of team members – including Ping An executives – arrived in Singapore in June 2018. They spent the next six months preparing for launch by talking to potential customers about their needs. The company is going on a hiring spree. It’s looking to potentially double its existing headcount in Southeast Asia, with the goal of hiring 188 employees across the region this year. Around 60 to 70 percent of these roles will be focused on engineering and research and development. While a lot of fintech players target consumers or SMEs, OneConnect’s advantage is that its products have been tried-and-tested within Ping An, making it a natural partner for the biggest financial institutions. OneConnect’s offerings are essentially commercialized versions of the systems used by its parent firm. “We don’t sell anything that the Ping An Group isn’t using. We are a startup, but we have a good parent company, so banks are willing to listen to us,” says Tan. Right now, OneConnect is reaching out to more banks and insurance companies across Southeast Asia. With its Singapore headquarters already housing a team of close to 100 employees, the company has just launched its Indonesia office. A team of 20 to 30 IT and sales employees are now on the ground in Indonesia, meeting with prospects discovered during their first-level assessment. Smaller teams composed of a dozen or so people each have also been deployed in Malaysia, the Philippines, Thailand, and Vietnam. The key to OneConnect’s strategy was hiring a leadership team that specializes in Southeast Asian markets and then sending them to Ping An’s headquarters in China to identify which of the parent company’s products would suit customers in the region. Tan notes that some solutions were either too specific to the Chinese market or of little help to Southeast Asian users. There’s also a lot of interest in the region to make financial transactions more secure, Tan notes. Addressing this, OneConnect has products that fuse artificial intelligence with biometrics technology to make banking and credit card transactions more secure. These products are also integrated with an electronic know-your-customer (e-KYC) system called e-KYC Plus, which authenticates customers in real time. Unlike regular systems that depend only on facial recognition, e-KYC Plus is bundled with voiceprint technology and micro-expressions recognition for added layers of authentication. This technology can allow bank accounts to be opened in a matter of minutes. Such e-KYC systems are relatively new in Singapore. In the first quarter of 2017, the Monetary Authority of Singapore (MAS), the city-state’s central bank, piloted a national KYC utility for financial services. Last year, OCBC Bank claimed to be the first bank in the country to integrate e-KYC. “All the banks are looking for better ways of authenticating the customer, so the e-KYC products are generating interest right now,” observes Tan. These solutions could become necessary in Southeast Asia due to the security flaws of one-time passwords. In 2016, the Association of Banks in Singapore issued a warning about spyware programs that could expose Android phones, including one-time PINs sent via SMS. Another set of OneConnect products that are seeing interest from potential customers in Southeast Asia is its digital consumer lending solutions. Countries in the region “have huge populations, but all the banks are unable to do the lending in the rural areas,” Tan points out. This is where OneConnect’s Gamma Digital Loan Solutions comes in. The product manages the entire credit process, from channel management and anti-fraud to loan application and approval. Banks can use OneConnect’s biometrics technology to authenticate and approve cash loans, pay-by-installment loans, credit card installments, and business loans. All these processes can be done online. Tan, however, notes that Gamma is best suited for larger financial institutions. OneConnect also offers blockchain solutions, which was rolled out during Hong Kong Fintech Week 2018. The launch came after Ping An introduced it blockchain-based trade finance platform (TFP), also in the city. Called eTradeConnect, it’s Hong Kong’s first blockchain-powered TFP and will connect 12 banks and their select clients to share trade data using blockchain technology. Tan adds that for now, blockchain offers value to trading activities at central banks and national-level systems, but not so much to small and medium financial institutions and their consumer-focused services. OneConnect is cautious about expanding too quickly in the region. Tan, who has spent a lot of time in the frontier markets of Myanmar and Laos, is all too aware that Southeast Asia’s diversity makes it a challenging market to conquer. That’s why OneConnect is working on localizing existing Ping An products, which involves changing their algorithms to work with a certain language, such as Bahasa Indonesia, and even adapting voiceprint recognition to local speakers. “Of course, we have to do this again for Thailand, Vietnam, and so on,” says Tan. Aside from setting up a legal entity in Indonesia, OneConnect is considering Thailand after receiving several requests to enter the market. “If we do get approval, we will probably set up there,” says Tan. He believes that Southeast Asia has developed a stronger risk appetite, driven by consumers who wish to try the latest and greatest technologies. China’s insurance giant Ping An is aggressively courting Southeast Asia Ping An Insurance, China’s second-largest insurer by premium income, has been betting big on fintech.